Have you noticed that Social Security is now identified as an 'entitlement' like welfare, food stamps, housing, medical, and education? That is exactly how the government and their phony newspapers describe this today to the public. This is a typical government and newspaper lie. How can this be like a welfare "entitlement" when all S.S. recipients paid into a special government savings account all their working lives "so that they would receive an income when they retire." What is more the citizens had no choice in joining this government program. On May 6, 1933 it was made clear by President Franklin Delano Roosevelt (FDR) that funds would be automatically taken from our paychecks for our futures....why after all, we would get it all back with interest when we retired saith they. What is more, our first progressive president stated, that the Social Security Card and number would not be used for identification. Get that? Got it. 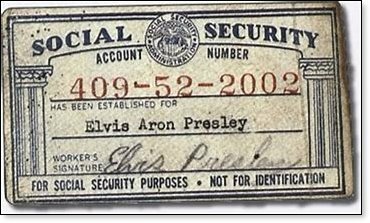 That statement was printed clearly on the right hand bottom of the cards issued as you can see clearly on the photo of Elvis Presley's S.S. Card as was printed on all SS Cards during those years. So we were all told that the social security card and ID number would NOT be used for identification. Another lie. They were thinking well ahead. Fortunately, Donald Trump was elected as President of the U.S. before this plan could go a full circle. The plot was to construct a 'chip' that would be implanted in Americans so the government can keep track of all of us. This means our transactions, medical treatment and Big Brother will know at all times where we are and where our kids go to school. The FDR years inched us very subtlety into progressiveness; from there to socialism, to leftism and now....Communism. So we fell for the 'New Deal' which was actually a Raw Deal. This was and is an example of gentle persuasion, even though today there is nothing gentle or subtle about it. Thank God, President Trump is now in charge and will push back the Communist invasion. Let's take another look at the Social Security Card and number which was intended to be the forerunner of creating the welfare society totally dependent upon the government, which has happened already, advancing the Communist goal. Now take a close look at the info below which shows the history of the March of The Reds. Just in case some of you young whippersnappers (& some older ones) didn't know this. It's easy to check out, if you don't believe it. Be sure and show it to your family and friends. They need a little history lesson on what's what and it doesn't matter whether you are Democrat or Republican. Facts are Facts. Social Security Cards up until the 1980s expressly stated the number and card were not to be used for identification purposes. Since nearly everyone in the United States now has a number, it became convenient to use it anyway and the NOT FOR IDENTIFICATION message on the cards were removed. Franklin Roosevelt, a Democrat, introduced the Social Security (FICA) Program. His promises with updates are shown. 4.) That the money the participants put into the independent 'Trust Fund' rather than into the general operating fund, and therefore, would only be used to fund the Social Security Retirement Program, and no other Government program [Under Johnson the money was moved to the General Fund and Spent]. A: The Democratic Party, with Al Gore casting the 'tie-breaking' deciding vote as President of the Senate, while he was Vice President of the US. A: That's right! Jimmy Carter and the Democratic Party. Immigrants moved into this country, and at age 65, began to receive Social Security payments! The Democratic Party gave these payments to them, even though they never paid a dime into it! Now, after violating the original contract (FICA), the Democrats turn around and tell you that the Republicans want to take your Social Security away! And the worst part about it is uninformed citizens believe it! If enough people receive this, maybe a seed of awareness will be planted and maybe changes will evolve. Maybe not, though. Some Democrats are awfully sure of what isn't so – but it's worth a try. How many people can YOU share this with? Actions are required if change is to come. GOD BLESS AMERICA AND OUR PRESIDENT TRUMP. 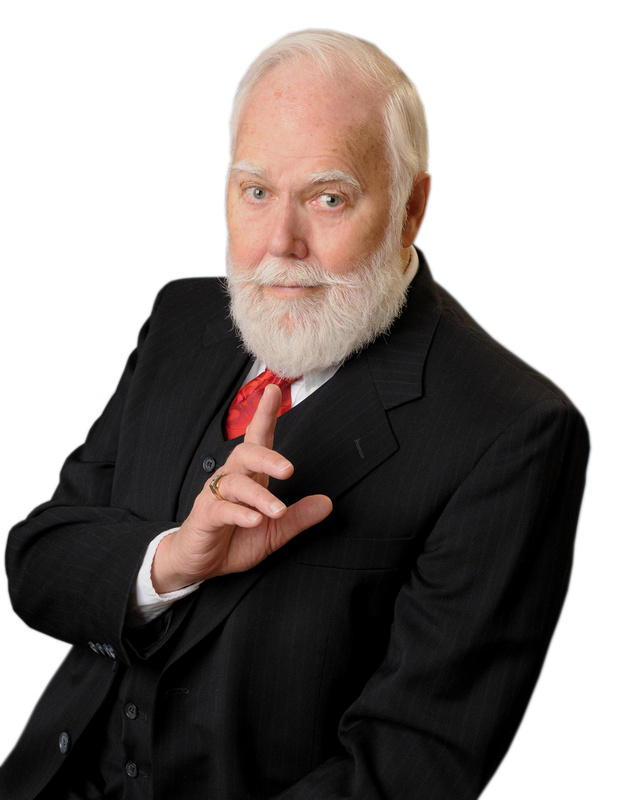 We are grateful to column contributor Lawrence Craig for gathering these facts.